The 41A District Court in Shelby Township will be the subject of this third article in my series about DUI cases in local, Macomb County District Courts. There are two 41A District Courts: The subject of this article, in Shelby Township, and it’s counterpart, in Sterling Heights. The Shelby Division Hears cases arising in Utica, Macomb, and, of course, Shelby Township. As a Lawyer who handles DUI cases there on a regular, ongoing basis, I know this Court as well as anyone, and certainly count it amongst my favorites. To be clear about that, as a DUI Attorney, I have a greater liking for those Courts where the outcome is more favorable (meaning more lenient) for my Client. This is definitely one of those Courts. Located in a building much too small for its needs, the Shelby Court has been the subject of a rumored new building for years. 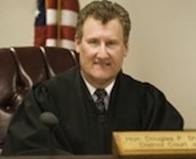 Overseeing this Court is Judge Douglas Shepherd. Judge Shepherd was elected to the bench a number of years ago, upon the retirement of longtime Judge Herman Campbell. Judge Shepherd probably takes the cake in terms of being a nice man. Having been in Private Practice before becoming a Judge, and having done essentially what I do, Judge Shepherd understands the basic expectation involved in hiring a DUI Lawyer: “I will pay your Fee, and you go and make things better for me.” More quiet than boisterous, it isn’t hard to imagine him having pursued a career in ministry. In DUI cases, however, his forgiveness is earned, not just granted. Judge Shepherd, like most Macomb County District Court Judges, actually requires very little of a 1st time DUI Offender who gets Probation. In fact, he pretty much expects nothing more of a DUI 1st Offender than staying out of trouble. Don’t get in any more trouble, and all will be well. A DUI Defendant who Violates his Probation, however, especially by picking up another charge, particularly another DUI charge (and that happens more than you think), will absolutely get locked up. Despite that, a 1st, and even a 2nd Offense DUI case can be resolved quite favorably in this Court, meaning no Jail. But there’s more to any DUI case than just avoiding Jail. Getting slammed with an endless diet of Classes, Counseling, Community Service, Reporting, Testing, and the like can wear a person down rather quickly. In the 41A Shelby Court, very much like in the New Baltimore District Court, most of these annoying and inconvenient consequences can be avoided if the right steps are taken. In terms of Fines and Costs, the 41A Shelby Court is close to the middle-of-the-road, perhaps even a bit more toward the less, rather than the more expensive side. In a 1st Offense DUI, it is possible, with some good work, to avoid any kind of Classes, Counseling, and even Probation. In a 2nd Offense DUI, and again, with the case handled properly and the right steps taken, it’s possible to limit the fallout to little more than a year’s Reporting Probation. Of Course, all of that is a function of how well a person does at their legally-required Alcohol Assessment. Under Michigan Law, before a person can be Sentenced in a DUI case, they must take an Alcohol Assessment Test, which is administered by the Court’s Probation Department, and is part of a larger process, called a Pre-Sentence Investigation (“PSI”), and which includes an in-person interview with a Probation Officer. The end result of this process is that a legally-required, written Report is generated, and provided to both the Judge, and the Defendant and his or her Lawyer, just prior to the Sentencing itself. This is a long story, and is covered in-depth in my other, related blog articles, but the bottom line is that whatever is recommended by the Probation Department in the report is pretty much what is going to be Ordered by the Judge. In other words, that report is really the blue-print, or script, for what’s going to happen. Thus, doing well and getting a better, more lenient and more favorable recommendation will have the single biggest effect of anything else on the outcome of any case, much less a 1st or 2nd Offense DUI case. The 41A Shelby Court does not have it’s own, in-house Probation Department. Instead, all Probation Matters, including the PSI and the mandatory Alcohol Assessment in a DUI case are handled by the Probation Department for the 41A Sterling Heights District Court. And that’s a good thing, because the 41A Sterling Court has about the nicest Probation Department anywhere. Uniquely missing from this Probation Department is any trace of that “attitude.” Sometimes, DUI Defendant’s complain that they feel, or are, in their opinion, made to feel too much like a “criminal” or a “loser” by some Probation Officer or other. Having heard this same theme countless times over my 20 years’ as a Lawyer, I know that, whatever (or not) any particular Probation Officer’s intentions in dealing with a DUI Defendant, that feeling is certainly a common phenomenon. Feelings, whether well-founded or not, are facts, and too many people complain about this for there not to be some truth to it. And for all of that, I have never heard a single complaint about anyone in the 41A Probation Department. Moreover, my personal dealings with them have always proven to be pleasant. Thus, even though proper preparation is essential to doing well at this phase of the case no matter where it’s pending, at least I don’t have to spend much time with my Client explaining the “attitude” factor which simply isn’t a part of dealing with this Probation Department. That said, these “Probation-less” outcomes aren’t what anyone should expect, and most will not get so lucky. Those walking in without a Lawyer, or those who have no choice but to have Court-Appointed Representation can pretty much forget about getting that kind of break. Such favorable outcomes are the product of hours spent with one’s Attorney before ever walking into Court. Still, for those with the ability to secure higher-order DUI Representation, this Court can be a lot less than the nightmare one might expect. 4.8 for a First Offense. 4.7 for a Second Offense.